Give The Gift Of Romance For Mother’s Day! 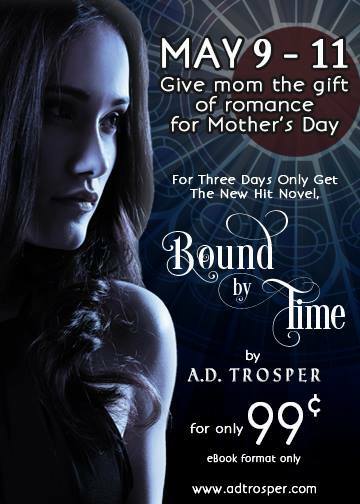 For Mother’s Day weekend, Bound by Time will be on sale for only .99 ! Don’t miss out on the chance to grab this book at a great price!